The money available to French teams is far more than Leinster, Munster, Ulster and Connacht have at their disposal. Toulouse, for example have an annual budget of over €30million; more than all four Irish provinces combined. In the past, the IRFU have proved successful when it came to holding on to the country’s star players, and that will undoubtedly continue to be the case. Brian O’Driscoll and Jamie Heaslip have both previously rejected contract offers from French clubs, so it is clear the desire is there for the best of the best to stay where they are, regardless of financial temptations. Irish rugby legend Tony Ward stated in a recent article that “Sexton’s decision to go challenges the entire structure upon which the game here has been based in the professional era.” But, in reality, the Irish model has been the envy of the other Six Nations sides. In recent years, the amount of players from England, Wales and Scotland that have moved on to Top 14 rugby has vastly increased; Wales star and 2009 Lion Jamie Roberts will almost certainly be playing at first-centre outside Sexton at Racing next season. Some are worried that if Sexton’s move is a success, more will do likewise and seek more financial reward for the time and effort they put into the sport, but moving to France has other implications which may put many Irish players off the idea. For internationals, travelling long-distance to and from training and Six Nations/Autumn internationals (not to mention the quadrennial World Cup) may be seen as an inconvenience. Then there is of course the language barrier and the effort of settling into a new country with cultures and customs, that is different to home. The lure of money cannot be ignored, and the likes of Sexton shouldn’t be vilified for wanting to leave themselves financially better off for when the time comes to retire from the game. More and more rugby players are studying degrees in their early-twenties, so not all are thinking solely about their pocket. Having the chance to win major honours with your home province is the stuff dreams are made of, as three-time Heineken Cup winner Sexton knows all about. Rugby-wise, moving to France doesn’t make all that much sense. 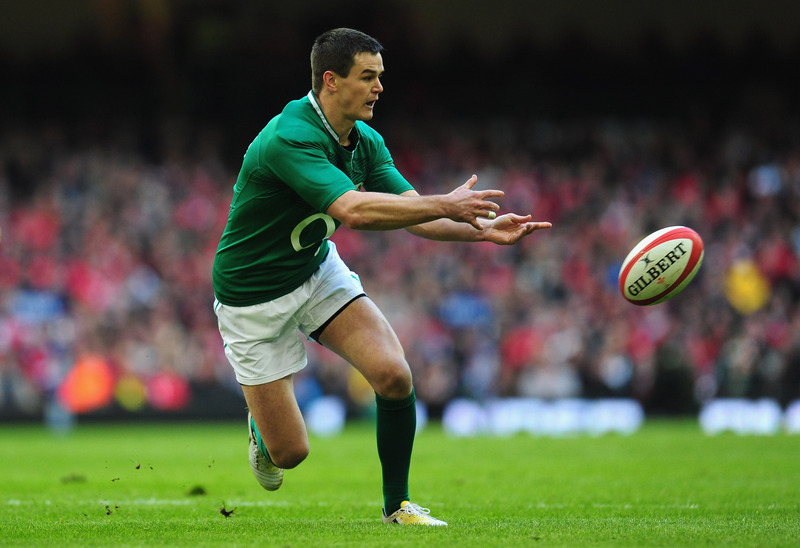 Economically strong points are made to go abroad, but for competitive rugby Ireland is as good as anywhere. The statistics simply do not lie: five of the last seven Heineken Cups have been won by an Irish province, with the 2012 final an all-Irish affair. Rugby in Ireland has arguably never been stronger than it is at the moment. Although Leinster failed to make this year’s Heineken Cup quarterfinals, all great teams are allowed a dip in form. But there are other incentives as discussed which make plying your trade in Ireland an attractive option, and Tommy Bowe is an excellent example this. The Monaghan man joined the Ospreys in 2008 and went on to have a very successful spell there. While the lure of rugby abroad obviously led him to Wales, in March of 2012 he confirmed he would be returning to his native Ulster for the 2012/13 season. His importance to the Ulster cause was outlined when he scored two tries on his return against the Cardiff Blues. Bowe is an example of how a player can go abroad and experience rugby elsewhere, and then return to Ireland. Perhaps Sexton’s days of playing for Leinster are not completely over, and that one day he may return to play on his original turf. Newspaper headlines the day after Sexton’s announcement included ‘First trickle to France could turn into a flood’ and ‘Limping Leinster in limbo.’ However, the reality is that, despite not being able to pay the same wages, Irish clubs can and will compete with French clubs in the future. Vive l’Irlande!